505 East Grand is a $5 million project located in Historic East Village in Des Moines. The former parking lot was transformed into a two-story, mixed-use building with 23,000 square feet of commercial space. 505 East Grand combines clean, modern design and materials with a spacious footprint and flexible configuration that nicely complements the “retro/metro” feel of the area. 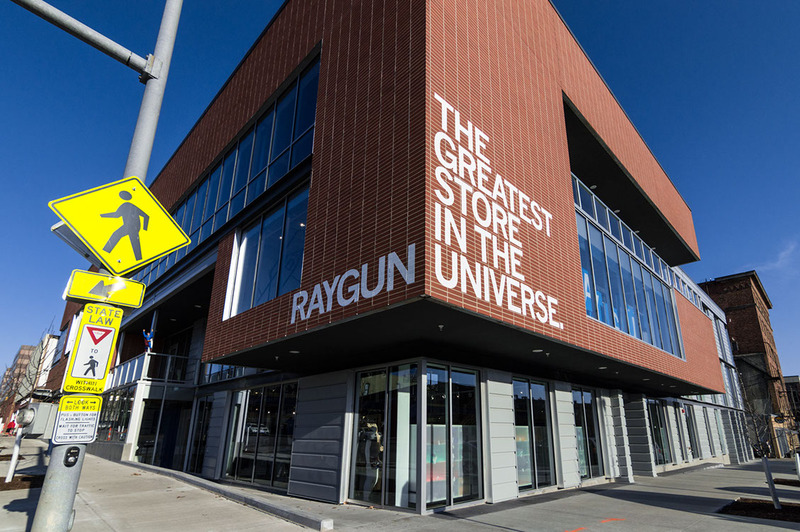 Christensen Development partnered with the owner of the nationally-recognized RAYGUN printing, design, and clothing company to make a cool space for their high-demand, edgy products. Soon thereafter, Mars Café and Thelma’s Treats established new restaurant and niche dessert businesses, respectively, in the building.